This tour about Charlie Donnelly and the battle of Jarama is covered in Dr David Mathieson’s fully illustrated guide to the battlefield sites of the Spanish civil war around Madrid. Click on the icon to order your paperback or kindle copy. In February 1937 the nationalist forces launched a massive onslaught on republican lines in the Jarama valley to the south east of Madrid. Their objective was to cut the road between the capital and the important sea port of Valencia which by then had also become the centre of republican administration. The highway was the capital’s umbilical cord—vital supplies of food, fuel and munitions passed along the road to the besieged capital. 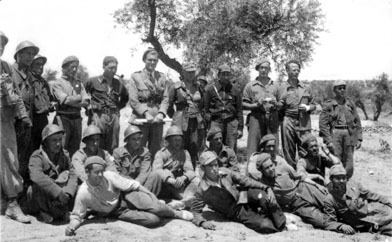 The nationalist offensive was one of the most important of the war and had it not been for the extrordinary heroism of the International Brigades, Madrid would undoubtedly have fallen. The volunteers, like Charlie Donnelly, were in the vanguard of the forces which struggled to stem the nationalist advance and suffered devastating losses. This Madrid tour will take us just outside the city to the beautful valley of Jarama , scene of a bloody battle in 1937. 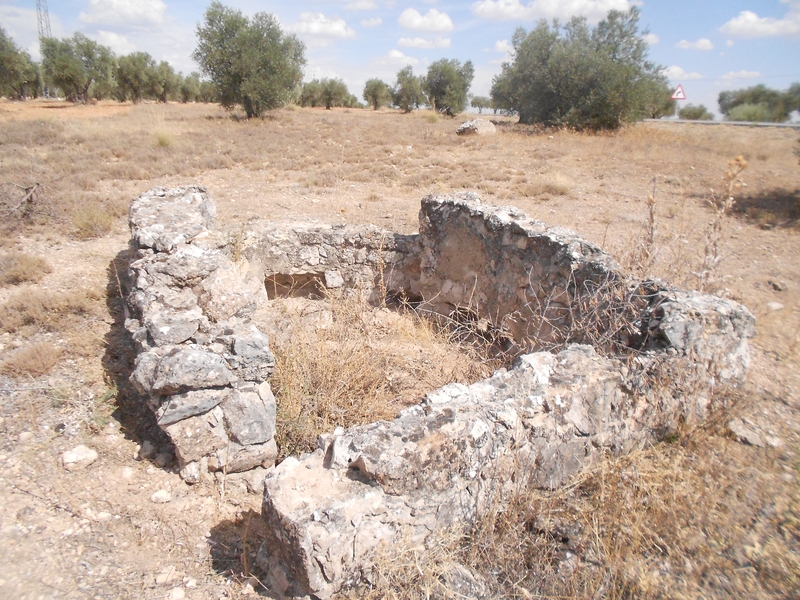 Some 40 minutes outside Madrid, stops include some of the places which have entered into the legend of the battle and the memory of the International Brigades – the Cookhouse, the sunken road and Suicide Hill which was valiantly defended by British and Irish volunteers (above). 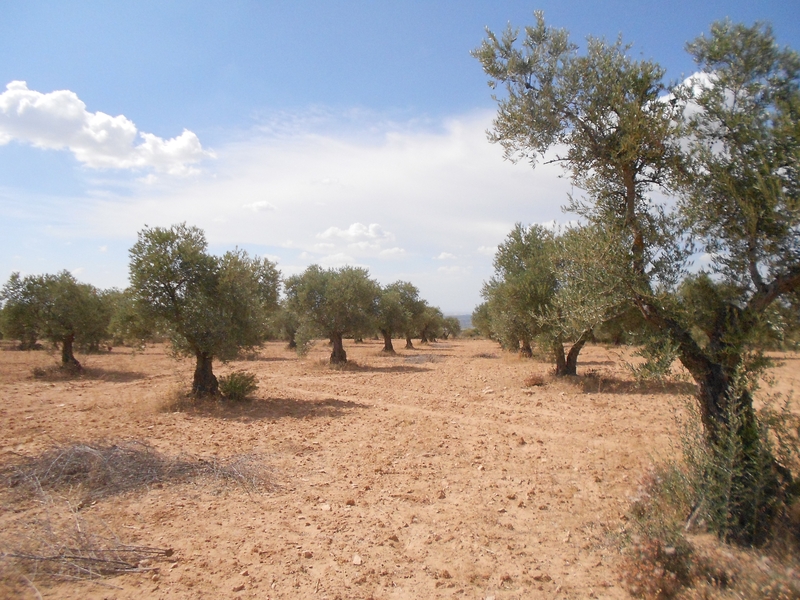 Amongst the quiet of the olive groves, we will walk to the spot where Charlie Donnelly is thought to have been killed alongside many of his companions from the American Abraham Lincoln Brigade. Our walk will also take in some extensive Republican trench emplacements and the memorial to those who died at Jarama. This unusual walking tour includes lunch at a local restaurant, the Meson El Cid, which has one of the very few museums devoted to the Spanish civil war in Madrid. The museum is a fascinating cornucopia, housing hundreds of artifacts which have been retrieved from the battlefield of Jarama over the years. On arrangement, this Madrid tour leaves at 10:00 am from the principal entrance to Parque Debod, beneath the fallen soldier memorial. The Parque Debod entrance is at the junction Calle Ferraz with Paseo Pintor Rosales, opposite the Plaza de España. Tours return to the same drop-off point. On 18 February 1937 the republicans launched a major counter offensive. 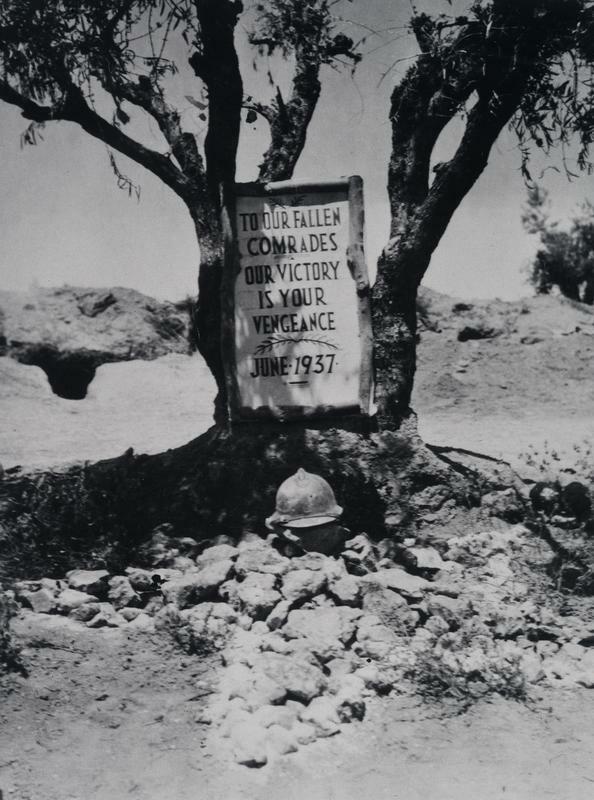 The International Brigades were once again in the thick of the fighting and this time the American volunteers of the Abraham Lincoln Brigade were in the vanguard. The Lincoln’s suffered extensive casualties before the offensive was abandoned and amongst the dead lay the young Irish poet Charlie Donnelly (below). Charlie Donnelly was born in County Tyrone in 1914. 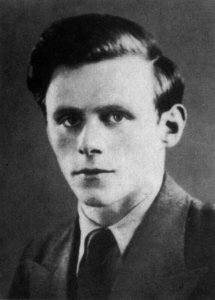 Both a radical and a rebel, Charlie moved to London where he supported himself by journalism, writing and casual work until the winter of 1936 when he joined the International Brigades. Like many Irish volunteers, Donnelly preferred to fight alongside the Americans rather than the British and he was attached to the Abraham Lincoln Brigade. When his unit came under fire Donnelly was killed instantly, aged 22. His body has never been recovered. The battle of Jarama spawned one of the best known anti-fascist songs of the 20th century, JaramaValley. You can listen to a version recorded by Woody Guthrie here. Just returned from the Jarama tour – which I thoroughly enjoyed. 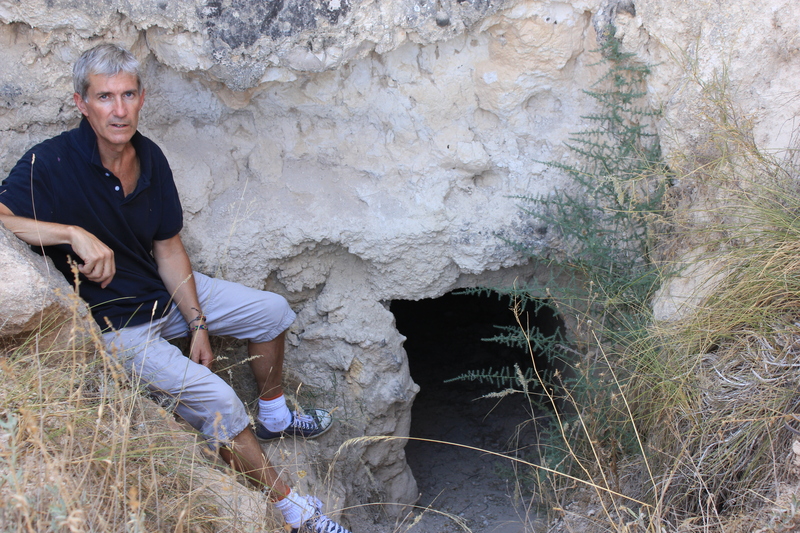 It was extremely interesting and David Mathieson is extremely knowledgeable about the topic and knows the best locations from which to appreciate and understand what took place in 1937. I hope to be able to go on some of his other tours later and will be posting a review on TripAdvisor and publishing an article on my experience. A fascinating tour. David made it human. We saw where people had suffered and believed. And rather than just focus on the logistics of war, he was able to help us re-live the hopes as well as the fears of all those involved.